Admit it, you can never pay your parents for the love, time and sacrifices they have ever done for you ever since you were little. So, thinking of what is the best gift that could make them happy that somehow can repay them is a tricky thing. Well, let me help you think it through. I know that we all heard that it’s the thought that always counts. But, if you can afford to give them more than that, why not? Imagine all those times, that your mom spends the whole day taking care of you and tending to your needs that she doesn’t have enough time to relax. Your father who sacrificed to be away from you and his wife just to support you financially. Now, did you get the idea? Give them a gift that they can spend time together on their own. A time for them to relax and enjoy their moment together without worries. Your parents are getting older and older everyday. They deserve to enjoy life together with the one they most loved. 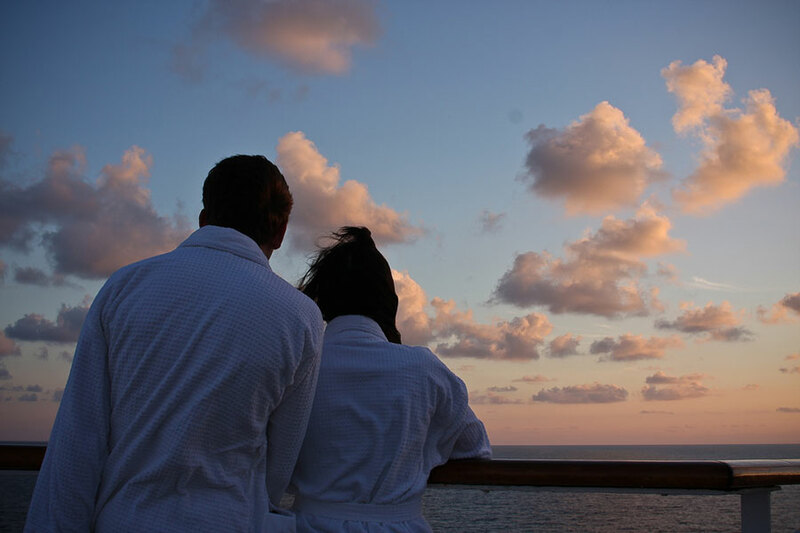 Show them your love by treating them on a cruise vacation where they can just sit and sip wine and enjoy the sunset over the ocean. Cruise ships are equipped with amenities for men and women to enjoy. For men, there is casino, pubs and a small golf course. Or they can relax in a spa or a massage parlor together. If they are the kind of people who just love to enjoy the sea and the moment being together, then they can stay in the theatre at night where they can cuddle up warm on a blanket while enjoying the movie. They can even bring their own food freely. Remember that time when your mom cooks your favorite food and wait for you while you’re eating? Now, it’s her turn to be waited upon while indulging all the flavor that the chef prepared for them. Or they can go out to a restaurant for a date. They can also enjoy the free eat all you can buffet that is included on the cruising package. Cruise ships is the best place to enjoy and learn dancing without enrolling. You can both learn tango and waltz for free and have the best night ever. There are still lots of things that your parents can enjoy on a cruise ship. Give it to them and they can explore all by themselves. Cruising is definitely a perfect gift for your parent’s wedding anniversary, a birthday gift, or just a thank you gift for all that they have done for you. Their convenience; from lodging, activities and a very comfortable transportation are well taken care of.